Friends are one of God’s great blessings to us. They give us love, support, helpful advice and the dearest ones challenge us to become the best versions of ourselves. It’s long been said that you can tell a lot about a person by the company they keep. For Catholics, our best friends can be the saints. We believe that these heroic men and women lived lives full of Christ’s love and mercy and are great examples to us of virtue and perseverance. Their lives and writings light the way for us, showing us how real people can fully live out the Gospel. If your life’s goal is to love and serve God in this life and spend eternity with Him in the next one, then study the lives of the saints. Becoming holy is the calling of every Christian believer because to become holy is to become like Jesus. The path to holiness is well-known and well-traveled. Contrary to Hollywood, it’s not a secret that only a few can know or understand. The problem is that most people are looking in the wrong places. If you want to follow Jesus, read the Gospels and the lives of His greatest followers. The saints are no different from you and me in all things but one: they never gave up. Virtuous and sinful, faithful and doubting, they gave their lives to Christ, messed it up, and turned to Him again and again and again. Sainthood doesn’t happen in an instantaneous thunderclap of holiness. It’s a journey with Jesus and a path well-trodden by the saints who have gone before us. Saints come from every walk of life, in every age and culture and every social class. From noblemen and warriors to peasants, teachers, kings or little children…and everything in between. The saints are our guides to heaven because they’ve already made the journey. They’ve navigated the pitfalls of sin and doubt and we can learn from their successes and failures. They’re practical examples of how your life can be transformed through a relationship with Jesus Christ. Their stories challenge us to radically embrace our faith–not just to “slip by” doing the minimum. Sometimes I think we subconsciously ask ourselves, “What’s the least I can do and still get to heaven?” What a selfish response to the One Who gave everything to save me! The saints are demanding and many of us don’t like that. When we look at their lives we become uncomfortable with our own. And isn’t that the first step in a real conversion of the heart? It’s when you realize your aren’t making it on your own and you need to change. I’ll go a step further and say that if the lives of the saints make you uncomfortable, you’re probably just as uncomfortable with Jesus. Because the holiness, the goodness and the virtue you’ll find in a saint’s life ALL belongs to Christ. God doesn’t have favorites—He’s calling you to be a saint, too. It’s what you were made for. If you need a place to start, read about St. Francis of Assisi or Blessed Mother Teresa of Calcutta. Both these remarkable people are wonderful partners for our journey to heaven. Put your hand in their hands and let them lead you to Jesus. It’s the longest dialogue Jesus has with anyone in any of the Gospels. We’ve all heard the story many times, and for good reason—this lovely encounter between Christ and a sinner cuts to the very heart of what it means to be a Christian. In the fourth chapter of St. John’s Gospel, Jesus comes to a well at noontime and there he meets a Samaritan woman who is about to fill her water jar. The conversation they share at the well reveals how mercy and sin meet in the heart of the woman. She is an outcast, a Samaritan, with whom no “respectable” Jewish man would speak. Yet she and Jesus speak deeply together about social protocol, religious history, Jewish prophecy and, in a real stunner for the woman, her own broken marriages and sin. She is transformed by her conversation with Jesus. In the middle of this ordinary day, her life was totally changed. She has met the Messiah at the well. Since we know her shame and her sins, we know that her noonday trip to the well was something she’d planned. It was no accident for her to be there when she was. The other women of the town would have visited the well early in the morning. So she’d avoided the stares and comments of these “respectable” women by timing her trip for the hottest time of the day, when no one else would be there. Or so she thought. But God had other plans for her life. 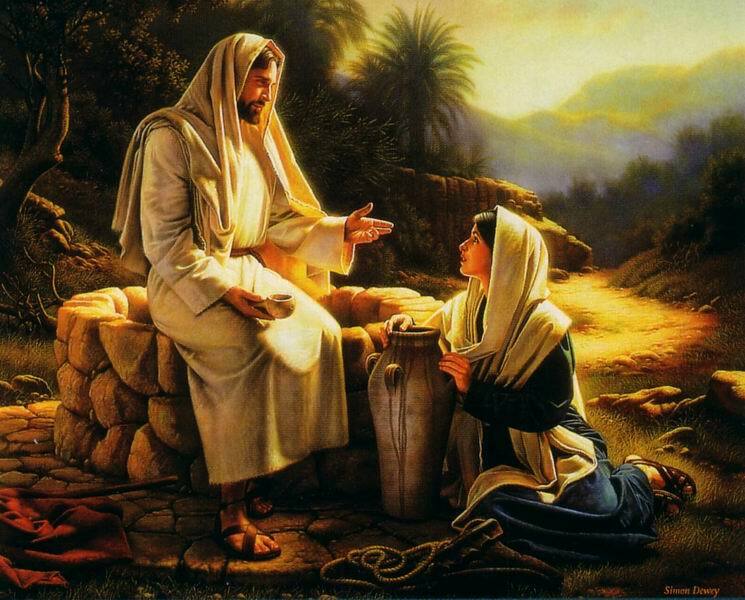 In the middle of an ordinary day, in the middle of her sinful life, the Creator of the universe asked her for a drink of water. As they spoke together, Jesus revealed Who He was and gave her the promise of eternal life. She was drawn to Him. Jesus didn’t condemn her, which she was probably expecting. Neither did He minimize her situation: “You are right in saying, ‘I do not have a husband.’ For you have had five husbands, and the one you have now is not your husband (John 4:17-18).” Jesus named her sin there in the light of the noonday sun. And her eyes and heart were opened to see Him and hear Him. He accepted her in her sin without condemnation or judgment. His truthful words allowed her to imagine a new beginning. His mercy was a healing balm for her broken and abused heart. As she felt the impact of His acceptance and love grow within her, she did something remarkable—“…she left her water jar…”(John 4:28). The very thing that was the reason she’d come to the well in the first place was now unimportant to her. She left the jar to tell the people of the town about Jesus. “Come and see a man who told me everything I have done”(Johne 4:29). Perhaps the burden of that heavy clay water jar was like the other burdens she’d left at the well. Her sinfulness, her emptiness, her shame and her guilt, these were gone, too. She’d visited the well for ordinary water and found living water instead. All her burdens were now laid at the feet of the Lord. In this great season of Lent, we can see ourselves in her unfolding story. What burdens, what sins, what shame are each of us being called to lay at Jesus’ feet? What is it in my life that I keep in my own water jar? And if we don’t give our sinfulness over to Him, how can we hope to be a witness to others of His life-giving water? What am I carrying around that gets in the way of my sharing the good news of God’s mercy and love? One of the many great things about being a Catholic is that we have a rhythm in our faith lives. Each season of the Church evokes a different spirit within us and our worship is enriched and deepened by the regular changes in focus and feel. In Advent, we prepare for the gift of Jesus at Christmas. During Christmas, we celebrate Christ’s coming as the great Light foretold for generations. Today begins another season, that of Lent. You probably saw various news reports this week about Mardi Gras celebrations around the country. Unfortunately, most people have lost the connection between “Fat Tuesday” and today, Ash Wednesday. The celebration of Carnival, literally “leaving meat”, originated as a kind of counterweight to the austerity of Lent. Carnival also points to the exuberance of Easter and the joy of the Resurrection, which is still yet to come. During Lent, we journey with Christ, walking to Jerusalem with Him, as He prepares for His Passion and Death on the Cross. St. Augustine helps us to understand what Lent is all about when he writes: “The entire life of a good Christian is in fact an exercise of holy desire. You do not see what you long for, but the very act of desiring prepares you, so that when He comes, you may see and be utterly satisfied.” Lent is an exercise of this holy desire. Most of the time, our lives seem to be filled with the “distractions” of everyday living: work, problems, and anything that takes our minds off our work and our problems. None of these things are bad in themselves, but they can keep us from seeing what we really long for. Lent is a time to put aside some of these diversions and get in touch with the true Object of our longing that St. Augustine wrote about. Jesus is our hearts’ desire and we can know His heart by spending prayerful time in the Gospels. He shows us there how can be like Him and how we can know and serve God. This is our Lenten journey. Christ is our example of prayer, fasting, and almsgiving — the three traditional pathways we walk during Lent. His withdrawal into prayer, His practice of fasting and His acts of charity, mercy, and healing should be our Lenten exercises as well. When we abstain from meat on Fridays, when we spend regular time in prayer, especially in the presence of the Most Blessed Sacrament, and when we reach out to help others, we are putting aside some of the selfish diversions of our lives. When we imitate Christ in these ways, we allow Him to change our hearts and we prepare to honor what He has done for us through His Passion, Death, and Resurrection. Lent is a season of cleansing and of preparation. It’s a time of putting things aside and clearing things out so that we can once again see what and Who is most important to us. Lent can be a “spring cleaning” of the heart and it can reveal to us the rooms inside that we’ve not yet invited Christ to come into. Renewing and refreshing, Lent is a joyful time if we only allow our Lord to take control and fill us with His holy love. Lately I’ve been thinking a lot about Matthew 16:18. St. Peter has just told Jesus that he believes He is the Christ, the promised Messiah, and Son of the Living God. Jesus then promises to build His Church on St. Peter’s faithful leadership and assures him (and us) that “the gates of the netherworld shall not prevail against it.” Those words of our Savior give us comfort and hope in a time when it feels as if the Church is under attack from all quarters. But one look at our history shows that we’ve always been under attack of one kind or another. Emperors and dynasties have opposed and persecuted the Church. Governments have outlawed the Church, arrested, tortured and killed our leaders and our members. Over the centuries, Catholics have been forced to worship in secret. Even today this is true in some countries. We’ve seen our church buildings burned and our property seized. We’ve been denied the right to assemble together, to pray, to vote, to own property. We’re being told today that what we know to be true isn’t true. Our own government seeks to deprive us of the free practice of our faith. We’ve seen this before. And we’ll see it again. Because we are His Church–the Mystical Bride of Christ. We are wedded to Jesus and we have to walk the way of sorrows, just as He walked. We can’t expect to avoid suffering. When you look at the history of the Catholic Church, we shouldn’t even still be around. As often as the world has sought to destroy us from the outside, we’ve tried just as hard to destroy the Church from the inside. Corruption, greed, pride, lust —you name it, we’ve done it. And despite all the scandals, His Church goes on. Even the foulest Pope couldn’t lead the Church away from Her Spouse. This is because of His promise to us: that the gates of hell shall not prevail against us. Over our history, whenever we’ve been persecuted either by outside forces or by our own sinfulness, God has lifted us up again and again. The Councils of the Church came together to discuss and define the truth of our faith. Our popes and bishops, led by the Holy Spirit, reformed and renewed us in the face of each threat. Great saints and teachers have “appeared” when we most needed them, leading us always to the Gospel, to Jesus. In dark days, the Light is brightest, showing His people the way. These days are no different. But no renewal within the wider Church can begin unless our own hearts are renewed. Lent is a time of such renewal, of repentance, confession, fasting and conversion: of turning away from sin and returning to the Gospel. We’re all in this together. We need one another. Jesus founded a Church, not a self-help movement. He wants us to walk together, helping one another along the way. We have so much to be thankful for this Lent. Two new Cardinals for America and come October, seven new saints for the Church, including a native American. We can choose to make this Lent a journey of renewal and hope. We can look to Christ’s promise to be with His Church, His Bride, until the end of time and know that “greater is He that is in me, than he that is in the world” (Psalms 23:4). We are greatly-loved, Divinely-led, and purchased with the Blood of the Lamb. We will go on. The Church will go on, walking with Christ towards the New Jerusalem. This coming Wednesday is Ash Wednesday and it marks the first day of the season of Lent. For the next six weeks, Catholics will prepare themselves in a special way for the celebration of Easter. We’ll go to Mass and receive ashes on our foreheads in the sign of the Cross of Christ. As our priest marks us, he will implore us to “turn away from sin and be faithful to the Gospel” (Mark 1:15), just as Jesus preached to the people of Galilee. The ashes we wear are prepared by burning the palms used at last year’s Palm Sunday Mass and mixing the ashes with holy water and blessed oil. The ashes have in them the memory of Christ’s joyful entrance into Jerusalem as well as the waters of our Baptism and the oil of our Confirmation in Christ. They also remind us that our mortal bodies will return to the dust of the earth one day. Ashes were used in the Jewish tradition as a symbol of repentance and sorrow for sins. Job told God of his own sorrow when he promised to “repent in ashes and dust” (Job 42:3-6). In the Catholic Church, Ash Wednesday has been observed since at least the eighth century. Christians who had committed grave sin performed public penances. On Ash Wednesday, the local Bishop would bless hair shirts which they would then wear for 40 days of penance. He would sprinkle them with the ashes from the last year’s burned palms. The penitents could not return to church until Holy Thursday. Soon, all Christians came on Ash Wednesdays to be marked with ashes. The cross on our foreheads, which we won’t wash off until after sundown, marks us as belonging to Christ. It also recalls the cross made on our foreheads at our Baptism, reminding us that our conversion in love is an ongoing process of drawing closer to Christ, through His Grace. 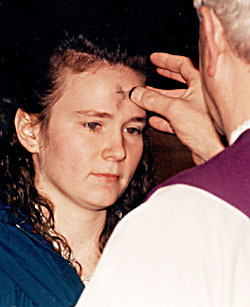 Ash Wednesday is also a day of fasting and abstinence for most Catholics. We won’t eat any meat and we’ll limit our food to one meal and up to two other very small meals. Some of us will drink only water and eat only bread. We do this in imitation of Christ, who fasted and prayed for forty days before He began His ministry (Matthew 4:2). “Fasting consists not only in abstinence from food but in withdrawing from sinful practices” (St. John Chrysostom). So today we also look in our hearts and recognize our sins and our need for repentance. Just as we can’t see the ashes we wear until we look into a mirror, Lent calls us to look into our hearts and see the wounds of our own sinfulness. The season of Lent is a time of prayerfulness, repentance and self-examination. But we should also be joyful. “Lent” means “spring” and reminds us that Easter is coming soon. 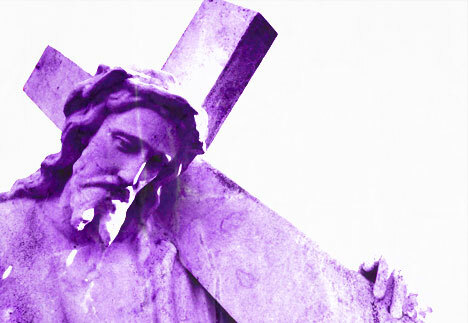 The six Sundays in Lent are six “Easters” as the Resurrection of Christ is remembered each week. 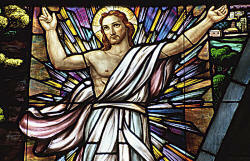 “We are an Easter people,” said our late Pope John Paul II. “Giving up” something for Lent can be giving up the burdens of sin that we carry every day—impatience, pridefulness, self-reliance, an unforgiving spirit, or whatever our particular sins might be. What joy we can know as we experience the mercy and forgiveness of our Savior in the Sacrament of Reconciliation. Our Lenten journey is a walk with Christ to Calvary and, through the Love and Mercy of His Passion and Death for us on the Cross, to the empty tomb of Easter morning. As soon as I opened the church door, I could hear her singing. The small church echoed with her exuberant joy. I stopped to listen for a few seconds before walking quietly down the aisle to the side chapel where she stood. Her song was light and airy and full of love. Since she sang in Spanish, I only caught a few of her words…love…heart…Jesus. I watched her clap softly and sway on her feet in front of the altar. A large painting of Christ was on the wall facing us. In front of the painting, in a golden stand, was the Object of her praising. This was a Friday evening in our parish and we were offering Adoration of the Most Blessed Sacrament. I had come to pray in the presence of Jesus Christ. My friend had come to sing and dance before the Lord. She saw me and smiled, becoming quiet and moving to her seat. But I stopped her and motioned for her to continue singing, assuring her without words that she didn’t disturb me. So she sang, swaying and raising her hands for several more minutes, her eyes focused like lasers on the Blessed Sacrament. And I thought of David. “Then David, girt with a linen apron, came dancing before the Lord with abandon…” (2 Samuel 6:14). David’s joyous love for God came out of him in his dancing and “shouts of joy” (2 Samuel 6:15). David didn’t let other people’s ideas of “how you’re supposed to pray” keep him from dancing. Sometimes we believe that our way of prayer is the only right way. We might feel that sitting quietly in His presence is the best way to pray. But surely the Lord puts in our heart the desire to sing out in joy for His love and mercy. Like David, our joy pours forth at times in ways we can’t contain. Sometimes we get so wrapped up in our lives and are so deadly serious about God and one another that we’ve forgotten how to dance with the Divine. Dancing and singing with the Lord can happen we forget ourselves and allow God’s joy to permeate us. Sometimes, we just need to let go. There’s a tradition in Celtic Christianity which envisions the Holy Spirit, not as a dove, but as a wild goose. Most of us grew up in churches where the peaceful dove of Scripture is a well-loved image of the Holy Spirit. A dove is delicate, docile and reassuring. It was a dove that assured Noah that the flood was over. Doves were used as sin sacrifices in the Old Testament. A dove landed on Jesus’ shoulder at His baptism. We can’t imagine a honking wild goose being delicate or quiet or peaceful! 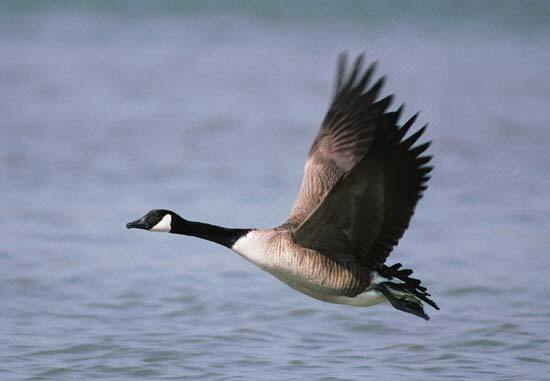 Wild geese are free, untamable and unpredictable. It is noisy, raucous and disruptive. Imagining the Holy Spirit as a wild goose allows us to be led by Him into the unexpected and even wild places of the heart. They nip us out of our comfort zones and urge us to take the path less taken…on a wild goose chase of the Spirit. They call us to follow Christ wherever He calls us to go, to dance and sing in His presence. As the Spirit moves to fill us, our joy overflows. Don’t be afraid to be led into places you haven’t gone before. He is always with you. One of my oldest and dearest college friends is a parish priest in a small southern town. He spends his days with the people of his congregation. He counsels them, listens to them, prays with them and visits them in their homes, or at their hospital bedsides, wherever and whenever they need him. He presides at their marriages, baptizes their children, hears their confession, and is there with them as they lay dying. He is woven into the fabric of their lives. He has a vocation to the priesthood. Another friend is a nurse who works with very sick, very tiny newborn babies. She is the first person to hold them as they come into the world, desperately clinging to life. She bathes their incredibly small little bodies and weighs them on a scale that measures in grams, not in pounds. She uses needles that seem as thin as a hair, in veins that seem no larger. She works twelve or fourteen-hour shifts on her feet responding to crises and heartbreaks and the merciful graces of a life saved. She has a vocation to nursing. All of us know someone who works in a field that seems to call them to a life of dedication and service that goes beyond the ordinary. We think of firefighters, teachers, policeman, soldiers and others as having “vocations” to their particular professions. But here’s a newsflash: every life is vocational. What does that mean? What’s the difference between a life that is merely lived and a life that is lived out as a mission? Look at the people that you know and think of the ones that are really and truly happy. Yes, we all have our share of troubles and hurts and disappointments—but think of those people in your life who seem to be happy in the midst of all of life’s trials. These are people who have a sense of mission in their lives. They don’t work just to make money and acquire more possessions. Selfish pleasures give them little joy. They live to make a difference in the lives of other people. No matter what their state in life, whether single or married or widowed, and no matter the source of their income, these people know that their lives are created for a greater purpose. So how do you find your mission, your vocation? The first thing you must realize is that no one creates their own mission in life. No one chooses their heart’s vocation. Someone sends you on your mission. Someone calls you to your vocation. As Catholics, we believe that Someone is Jesus Christ. We believe that every human life is unique, precious, irreplaceable, and personally and intimately created by God for His purpose. No one else on earth can ever be the person God made each one of us to be. We believe that God has a specific plan for each of our lives. This plan is our mission or vocation in life. He calls us out of ourselves to open our hearts to Him. Everyone has a vocation. And living out your vocation is saying “yes” to God’s call, it is being really and truly free as only the freedom which is found in Christ can give. You can be a janitor, a lawyer, a factory worker, a taxi driver, or President of the United States—anything you can imagine. If you live your life authentically open to God’s call in your heart, then you’ve found your vocation. 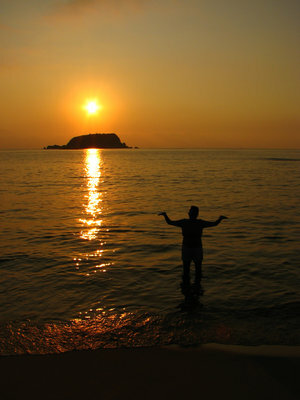 You can be like one of those people that you know whose lives radiate purpose and joy and peace. Just as Christ lay down His life for His sheep, He calls us to lay down our lives at the foot of His Cross, for His great purpose. When you offer your life back to the One Who gave it to you, your reward is the peace that surpasses all understanding (Phillipians 4:7). You will have begun to live out your life’s mission.